Signs of a changing climate surround the the coal mining city Neryungri in far east Russia. Like other places in Siberia the temperatures here has risen more than anywhere else on the planet during the last three decades. Natalia Kuzmina works as a journalist for the biggest newspaper in Neryungri. "In this area there are numerous signs of a change climate." says Natalia. "The amount of thermokarst lakes increases every year and forest fires become more common. This place will be baron like mars if the permafrost goes, the water table will eventually drop and people don't realise they will not be able to live here anymore." she adds. The city of Neryungri was built in 1975 after a major coal deposit was found in the area. The mine is now Russia’s biggest producer of coal for steel making but the infrastructure it depends on is built on subsiding land. 70,000 people live here, mainly working in the mining industry or in the municipal administration. On the outskirts of Neryungri a 3,000 kilometre long oil pipeline is being buried in the ground, taking cheap oil to China. 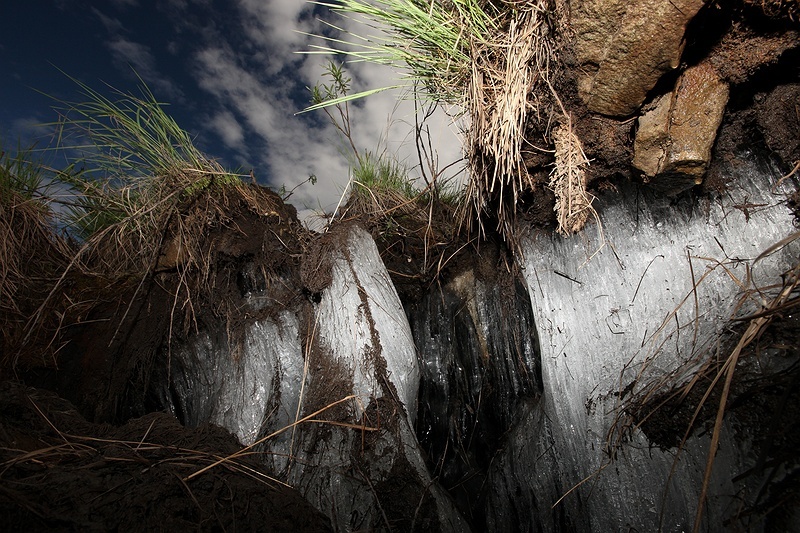 Environmentalists are concerned that it is a catastrophe waiting to happen as the permafrost thaws, the ground starts to move and the pipeline breaks. Read more about the pipeline in outside Neryungri here . "Neryngri is the perfect example of a place where Russian economic growth takes place before thinking about the consequences," says Natalia Kuzmina.